Samsung Galaxy Note 4 Bends: BENDGHAZI Lives! Oh. my. dawg. Look at it bend, Becky! BENDGHAZI so totally is not dead! So, should you buy a shiny new Samsung Galaxy Note 4? Sure, it looks like a really nice phablet — previous models have been good and have only gotten better with time. Hey, guys and gals, guess who’s back? Why it’s “our friend” Lewis Hilsenteger over at Unbox Therapy and he’s done bending the iPhone 6. Why? Because the new Samsung Galaxy Note 4 totally bends like its BENDGHAZI all over again! See also: T-Mobile’s Legere on iPhone 6 Plus: BENDGHAZI ‘Is Horses**t’, BENDGHAZI: Truther, Tea Party Investigations!, iPhone 6, iPhone 6 Plus: The Best, Most Durable Smartphones, iPhone 6 HairGate: Are You Kidding Me? OK, here’s a pro tip for all you kids at home planning to visit a carrier store, Samsung retail outlet or maybe even an Apple Store in order to bend a Galaxy Note 4 or iPhone 6 Plus — Stop! Don’t be a douchebag. If you are considering a new smartphone or phablet, here is a couple basic truths you need to consider: 1.) all phones and slabs will bend to one degree or another if you apply enough force (it’s physics) in the right spot and 2.) 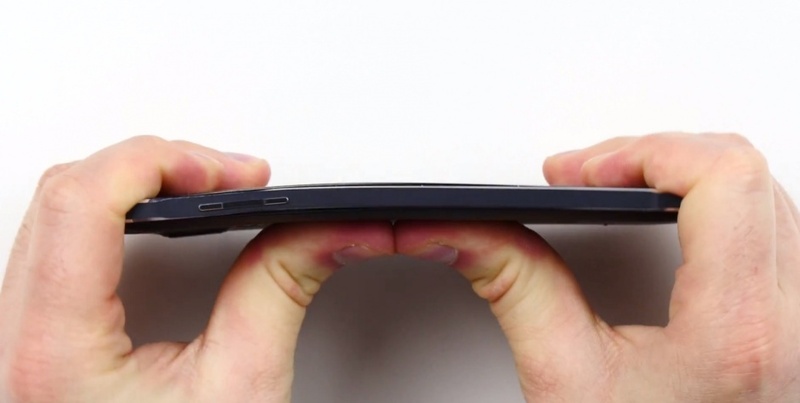 certain smartphones and phablets made of metal, perhaps especially Aluminum, seem to bend a bit more. Unbox Therapy’s Lewis Hilsenteger pulled in 53 million pageviews for his iPhone 6 Plus Bendgate videos, so it’s understandable why he wants to keep BENDGHAZI alive with this Samsung Galaxy Note 4 BendGate video. You and I, however, should now know better and just walk away.